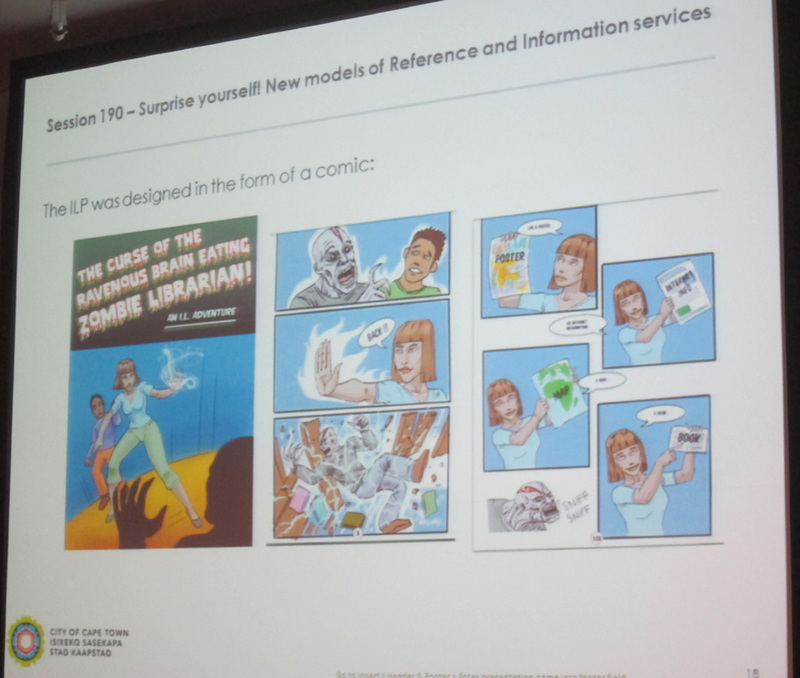 The aim of their Information Literacy programme was to develop something that could be used by reference service librarians in 104 public libraries across the city. As a background, he explained that there is a lack of school libraries (only 7% have a functional library) and there are low levels of literacy skills. However, more public libraries have been opened, therefore that is where children (especially primary school children) go. Also, the new South African educational system acknowledges the value of using information, but it isn’t taught at school. - what is information literacy? 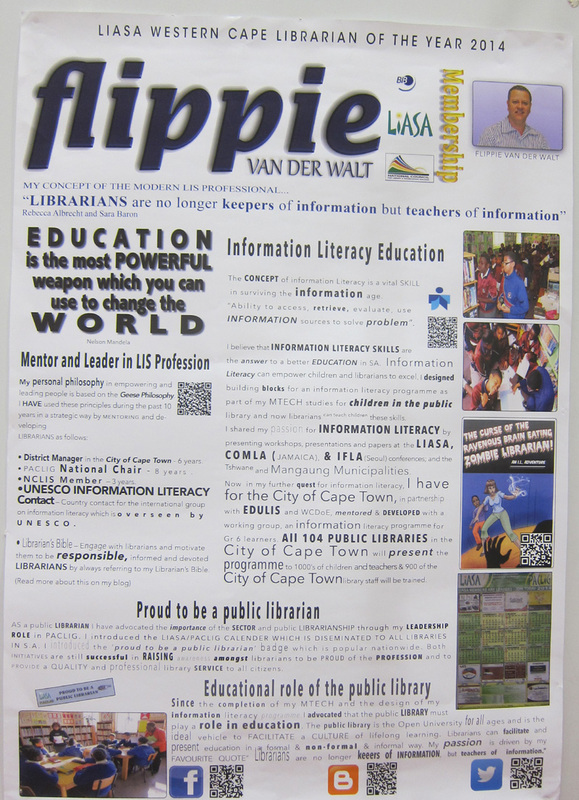 For this they explored various models such as the Big 6, and the LIASA information literacy guidelines for grade R-12. In the end they developed an 8 step model from these models (see below). - who is the target group? They decided to focus on children at Grade 6 (age 10-12) as it was felt that at that age the child would be better able to learn the principles (e.g. more than a primary school child), and also on training the librarians themselves. 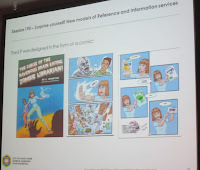 They developed a comic as a workbook for the information literacy programme (see picture). They picked on a zombie theme as it was currently popular. This made a “zombie challenge”. They piloted the programme with schools, and made changes based on that. They are preparing to roll out the programme. Now they need to train 600+ reference librarians so they understand info literacy and can be “zombie librarians!” There also a challenge in getting many schools involved, but it means particularly building on existing good connections with schools – they haven’t yet managed to get the local government to urge schools to get involved.